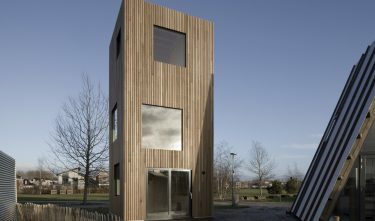 Slim Fit is a tiny house with grand designs. 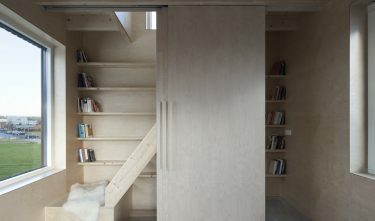 The micro-home, measuring a mere fifty square meters distributed over three floors, is designed for urban densification. Slim Fit’s modest footprint means it occupies less space than two parking bays, making it ideal for use in inner-city contexts, as well as densification in more spacious (post-war) neighbourhoods. Ana Rocha Architecture’s compact design can be built as a freestanding, or connected, dwelling. 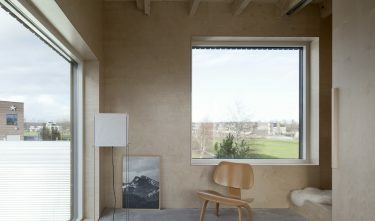 The concept is designed for the growing group of working singles who want to live compactly, comfortably, sustainably, characterfully and, above all, centrally in urban contexts. Slim Fit is an aesthetically appealing, smart and engaging concept that reflects and responds to how and where we want to live. Each floor has been given a specific function but, thanks to the compact shape and cleverly designed verticality, the three levels form a logical unity. With this concept, Ana Rocha Architecture clearly stands out within new developments in this area through the power of the design: simple layout, adaptive irrespective of the context, designed and executed with care, visible skill and love.